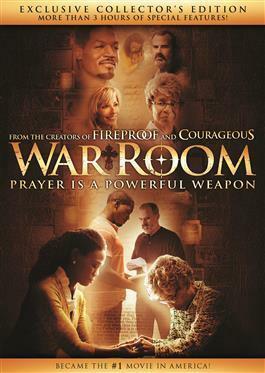 An Exclusive Collector's Edition of the faith and family drama box office winner that became the #1 movie in US theaters, focusing on the transformative power of prayer. The film centers on a seemingly perfect family who find desperately needed help for their hidden problems from a wise, elderly widow named Miss Clara. From the award-winning creators of ;Fireproof and Courageous, this a compelling drama with humor and heart that explores the power that prayer can have on marriages, parenting, careers, friendships, and every other area of our lives.